Beleaguered Southampton boss Mark Hughes knows only too well how important Saturday's Premier League game against Watford at St Mary's is. 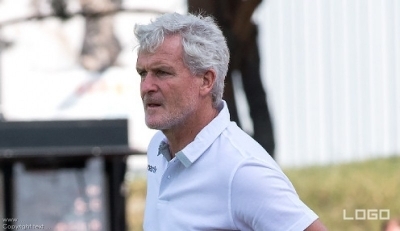 Reports suggest Saints are close to parting company with Hughes, who succeeded Mauricio Pellegrino in March and guided the club away from the relegation zone last season. However, Saturday's dismal 6-1 defeat at Manchester City left Southampton in 16th position, just one point above the relegation zone. Southampton, 4/1 to be relegated this season, can be backed at 11/8 to beat Watford, who lost 1-0 at Newcastle United on Saturday. Hughes said: "We know ourselves the areas in which we weren't strong enough (against Manchester City). "There are not too many teams that have created good moments against City because they stop things very, very quickly if you're trying to counter-attack. But we showed good intent in that regard. "We'll work towards the weekend and make sure the elements of our play that were missing against City are present against Watford. Those are the things we can take into the games ahead of us. "Clearly at the weekend it's a huge game and it's one that we want maximum points from."